Our readers know that The Midnight Garden reviewers are adults, and yet some authors are so amazing, they reduce us to a pile of giggling fangirls. One of our favorites is with us again today to talk about her new release Boundless, the final volume in her beautiful Unearthly series, as part of the official Mundie Moms Blog Tour for the book. Without further ado, please say hello to Cynthia Hand! Welcome back to the blog! What’s life like now as a New York Times Bestselling author? Tell the truth–do you muscle in line at the Barnes & Noble? Ha! I wish! Seriously, the biggest thing that changed with me hitting the Times list is that I get asked for a lot more blurbs these days. Which means more free books. Which is a very good thing. Yep. Angela and Clara are both in for quite the wild ride, Angela especially. They both try to follow their hearts, but it doesn’t always work out the way they thinks it’s going to. After Clara completes her task, what kind of repercussions will it have for the people around her? Without giving too much away, the stakes are higher in this book than they’ve ever been. Clara really takes charge of her destiny here, but her decisions have a huge impact on the people around her. She pretty much changes the course of the lives of almost all of the other characters. If you had a divine task, what do you think it would be? Hmm. I like the idea of my purpose having something to do with provoking thought in people, getting them to ask themselves the interesting questions. Thought-provoker. I like the sound of that. Should we expect Jeffrey and Angela’s stories be wrapped up in this last book? It seems like there’s enough back story for a spinoff, or at least for some hefty deleted scenes. Yes, there was a lot of deleted stuff for both of them, but I hope you’ll be satisfied with how their characters end up. The last time we chatted, you also mentioned there might be a Samjeeza story in the works. Our readers loved that idea! Is that still a possibility? It’s not on the horizon in the near future, but who knows. I would love to write a series of short pieces about Maggie, and Samjeeza would play a big part of a couple of those. But there’s a pretty big Samjeeza story in Boundless, so hopefully the readers will like that! The idea of seeing loved ones again in some sort of afterlife is a really lovely and comforting sentiment. Was it important to you to include that at the end of Hallowed? One thing that’s remarkably different in Clara’s story from the reality most of the rest of us experience when we lose a loved one is that Clara has a way of knowing, without a doubt, that her loved one still exists and is in a safe place. I wanted that for her, so that she could move on, and I thought it was the best gift Michael could have given her. But it doesn’t mean that she can still continue to see the person she’s lost. She’ll miss her, like the rest of us miss the people we love who pass. There will still be a hole. As far as her parents are concerned, Clara will see a lot of her dad in this book, which I found fun to write. She’ll really have to grapple with what it means to be her father’s daughter. Now that Clara finally has made a choice between the two gents in her life, you’re going to have to dish a little bit! Did you always know who she would end up with? And why does she choose this person? I always had a very strong sense of who Clara might end up with, but it was never set in stone. Those wily characters do things I don’t expect and set my whole plan off course often enough. With this book, one of the definitive scenes in Clara’s triangle situation hit me while I was driving, and I actually had to pull over and write the dialogue as I imagined it, and by the end of scene I was totally sniffling. It’s all very emotional. . .
Um, for us both. Given the amount of fangirling you’ve seen for one boy or the other, have you had moments where you worried about audience reaction? Yes, occasionally. There are more than a hundred reviews up on Goodreads so far put there by people who haven’t read the book yet, and a lot of them have a statement like, “Christian needs to DIE. Team Tucker forever!” or “She’d better pick Christian, or else!!! !” and I always want to raise my hand and squeak, “Or else what?” But the ending is right for Clara. I don’t have any doubts about that. *leans in closer* Have you had a Tucker or a Christian in your own life? Does Clara’s choice ultimately represent her/your beliefs in free will versus destiny? Your books are always so well-researched and heartfelt. I’m curious how long it takes you to outline a book and to write it. Could you walk us briefly through the basic timeline from concept to publication? Honestly, it’s very different for every book I attempt. Some books need a lot of research. I really love the research end of things. From concept to publication with Unearthly took more than 2 years, mostly because of the slow publishing timeline. Each book after that has taken less time, but I am guessing that my next project takes me at least 6 months before I’m ready to submit it and another year before it hits shelves, at least. It’s always interesting to hear the planning/writing process, because for readers, the timeline always seems so desperately long. This series’ year-long break between books certainly allowed you to write a lot of carefully considered emotional connections and story lines, however. I really like the balance of family, friendship, education, romance, and greater purpose in your novels. That’s hard enough to convey believably even in contemporary stories, but you’ve also managed it with all this angel mythology and paranormal action going on as well. Did you set out with a plan to ensure that these elements were covered in Clara’s story? There were some things I wanted to address that I saw as problematic in a lot of the YA fiction I was reading at the time. I wanted Clara to have a very involved family life. I wanted her to actually learn things at school, even though she was smart. I wanted her to have to address the physical and emotional boundaries of her romantic relationships. I wanted to call attention to the problematic nature of a girl, even a supernatural one, having a relationship with a much older being. And there were a few other things, but I wasn’t militant about expressing my opinion about this stuff. It just kind of naturally slipped into the story. Did you have a favorite teacher who encouraged your writing? Did he/she ever get a chance to read your book? I had lots of teachers tell me I was going to be a writer, starting with my second grade teacher, Mrs. Widdison. She came to a signing I did in Idaho last year, and I was so happy to see her and get to thank her for being awesome. Another teacher I had who relates specifically to the Unearthly story is Mr. Haroldson, my high school history teacher, who’s so amazing and from whom I learned sooooo much. I based the character of Mr. Erikson on him, and last year I did a school visit and got to talk to him some too, and thank him for the love of history that he had instilled in me. It’s because of him that I ended up minoring in history in college, and part of why I came to love teaching, myself. Are you touring for Boundless? Where people can get their tear-stained copies signed? Yes. I will be touring a lot this season. Please see my blog events page a complete list. Any info on this western project you’re working on? What else is coming down the pipeline? What kind of research are you doing for that? And IS THERE A COWBOY IN IT? Oh, sigh. This is why it is so very dangerous to talk about upcoming projects. So I am NOT working on the western project at the moment. It was tabled for the time being. But I WILL write that book, sometime in the next couple of years, I swear. I love that story so much, and Courtney Allison Moulton is going to name all my horses. And yes, there is (kind of) a cowboy in that book. But sadly, it’s on the back burner for a while. Right now I am working on a contemporary stand-alone with a tiny supernatural twist, which will probably be my next published book. We’ll see. We’re finally at the end of this long journey with Clara. What do you hope readers will take away from their experience with this trilogy? Some laughs and some tears, and maybe a few questions that will stay with them, long after they’ve read the last page. Done, done, and done. Thanks so much for visiting with us today, Cynthia! We look forward to whatever project you’ll be releasing next. Our thanks to Mundie Moms for hosting the Boundless Blog Tour! You can find the rest of the stops here, including another fun interview with Cynthia at our friend Jen‘s blog over at The Starry-Eyed Revue. Special thanks to our friends who brainstormed questions with us, particularly Kat, Kate, and Bonnie. Boundless is available in stores and online now. You can read our spoiler-free review even if you haven’t read the first book yet. You may also be interested in last year’s epic two-part interview with Cynthia Hand here and here. Thanks to our lovely friends at Harper Teen, we’re very pleased to offer our readers a chance to win an advance readers copy of this beautiful book. All you have to do is fill out the Rafflecopter form and leave a comment below. Open internationally to readers aged 18 and up, or 13 and up with parental permission. See entry form for complete details. Cynthia Hand grew up in southeast Idaho (very near the Wyoming border). Currently she lives in southern California with her husband and two small children. She teaches courses in creative writing at Pepperdine University. 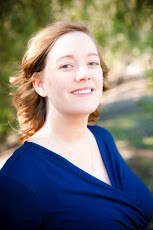 She is the New York Times bestselling author of the Unearthly series with HarperTeen: UNEARTHLY, published in 2011, HALLOWED published January 17, 2012, and BOUNDLESS, due out in January 2013. Definitely need to find out what happens. I love the way Cynthia describes the setting and characters; it all seems so enchanting. Like just about every other person, I’m dying to read this. Her writing is absolutely beautiful and I can’t wait to read the last book of the series. Wow! thank you so much for everything you’re doing! both the interview and the giveaway! I can’t wait, I’m so anxious to read the finale of this awesome trilogy. I just loved Unearthly, and Hallowed was definitely one of the best books I read last year. Cynthia Hand is one hell of a writer, and I really look forward to finishing up this series. Thanks for the post! Ahhh, I’m really excited for this book. Unearthly was beautiful and Hallowed was fabulous. This is a great series, and I look forward to reading Boundless. I still haven’t read this series yet! But one thing that gets me excited for it is the well-executed love triangle :) Can’t wait! I love Unearthly series so much! They`re very interesting, funny and unique in the idea about angels. I like that the characters feel like they`re real and have real emotions. Unearthly is one of the best angel book I`ve ever read, and I`ve read a lot of them (I had an obsession for a month and read only angel books). There wasn`t a Bella Swan character, like I expected it to have. No, it has an awesome lean character, Clara, who feels really real. Just read Unearthly – now I’m on Hallowed! Love this series and it’s such an interesting concept – normally I don’t like angel stories, but the characters are great! I love her writing in this. She makes all of her characters feel so real and alive. It also makes me very attached and emotional. This series has some of the best angel books ever! I really hope that Jeffery and Clara make up in Boundless. Siblings drifting apart always scare me. I can’t wait to see the conclusion of Clara’s story. Thanks for the giveaway! This series has been such a blast; it has some of the best angel books! i really hope Jeffrey and Clara make up in Boundless. Siblings drifting apart always scare me. I absolutely NEED the conclusion of Clara’s story. Thanks for the giveaway! I’m excited to read this book because I love angel mythology. I’m excited to read this book because I love the angel mythology. AH! I love the Unearthly trilogy. I’m so excited to read Boundless! My favorite thing about the books is how intriguing they are as part-angels. Also how unexpected things keep turning out to be! I love love love these books! I love that the series touches on the idea of free will versus fate. I also love that both sides of the triangle make sense. I have heard SUCH great things about this series, and im such a fan of angel books, so i am so excited to get my hands on it! I loved the interview! Cynthia Hand is so much fun! Thanks so much for the giveaway as well! I have to admit that I haven’t read this series yet. *hides* But I plan to pick it up soon! Everyone raves about it, so I know I’ll just love it! I like the fact that the characters have to make big choices and they actually stand up to them. Have loved this series since the beginning. The characters are absolutely wonderful. It is one of those series that can make you cry and laugh, sometimes in the same paragraph. I’ve read Unearthly and Hallowed and I loved them.I’m so excited to read this final book and to know what happens to my favorite characters, especially Clara and Tucker. Awesome interview! I JUST finished Boundless and I’m completely shattered. I can’t believe the series is over! I loved how it ended and how everything had the right closure. I’m glad at Clara’s choice and I really do believe that she did the right thing. I JUST finished Boundless and I don’t think I can ever get over it! I cried so much! I’m really happy it ended the way it did, because there was the proper closure. I’m just sad because there’s not going to be more books in the series! I’ve heard so many great things about this series! Thanks for the chance to win! Thanks for the awesome interview. I love this series and can’t wait fot this book to come out! What I love about the unearthly series is Christian . What do I love most about Cynthia Hand’s Unearthly series… I think it has to be the big choices that the characters have to make throughout the books. In Unearthly, Clara decides to save Tucker instead of sticking to the plan, leading to her brothers insecurity and switching sides in Hallowed. Yeah, it’s nice that there’s a PNR series with real decisions at stake–and shows how those decisions affect other people. Thanks for your comment–I need to look up that song you mentioned, too! I actually just finished the first of the series Unearthly after reading Wendy Darling’s rave reviews on Goodreads. I was almost completely burnt out on YA and YA-paranormal romance. But, this was so refreshing and didn’t have me rolling my eyes repeatedly like so much YA romance these days. I am starting Hallowed tonight! I would love to win a copy of Boundless!! Ahhh, another convert–yay! Thanks for letting me know, that makes me really happy. Such a lovely series–I’m so glad you’re enjoying! I really love the concept! It’s a bit different, and I adore different. I would be super excited to win this because it’s the last book I need to complete the trilogy! And as a college student, I generally don’t buy hardcover books (too expensive). I don’t want to wait an entire year to wait for it to come out in paperback to read it! Aw, I know what you mean. If you don’t end up winning, there’s always the library, though…and then you can get a matching paperback when it comes out. I haven’t read anything yet, but I picked up book 1&2 at a used book store and would love to own the third to round up the collection and delve in! It sounds like something i’d really enjoy! She became one of my favorite authors pretty much as soon as she came onto the scene, too! Definitely solidified after Hallowed. :) Good luck! OMG. I JUST WANNA KNOW WHO SHE ENDS UP WITHHH…. AND WHATS HER ULTIAMTE DESTINY..ASDBKJGDS. JUST GIMME THE BOOK NOW!!! OMG! Thanks so much for the great giveaway. YAY, so freaking excited to read it!!!! I just started reading this series and I love it so far! Yay, I’m glad to hear it! They’re such lovely books. The reason I want to read this is series is because it sounds like paranormal romance without all the annoying tropes of the genre. Plus, I’ve been dying for a good love triangle lately. I just HAVE to find out what happens!! I haven’t gotten around to Hallowed yet, so I’m still kind of conflicted between Christian and Tucker… also, I love the cover! I heard a lot of good things about this series and I think it sound awesome! *sigh* I still haven’t read my lovely copy of Unearthly. Everyone I know is crazy about this series. I honestly don’t know one person who doesn’t rave about it. Your questions were great. And gave insight w/out spoiling. Well, I’ve come across a few who are less enthused, but I think they might’ve just been cranky when they read it, hah. You’d love this series, Andrea! I’m staying on your case until you read it. Hmmm! *examines thumb screw collection* I may just take you up on that! Maybe we should aim for BOUNDLESS’ paperback release. My heart have regenerated a wee bit by then. Thanks so much for the lovely interview, Cynthia. You’re always one of our favorite guests. Thank you so much for the giveaway. I have read Unearthly and fell in love the all the characters and the world Cynthia created. It was such an addictive read and I had to pass it on to my family to read straight away. I have 3 copies of Hallowed, but haven’t had a chance to read it yet. Now Boundless is here, I can read book 2 and 3 one after the other. Fantastic interview. Three copies, but you haven’t read it yet? o.O I hope you’ve thrown all the other books aside to read 2 & 3 now that Boundless is out! This is a gripping series! There is never a dull moment. The story drew me in from the start. I never wanted to put it down. Thank you for this great giveaway! Good luck all! absolutely wonderful interview! very thoughtful questions!! I love the Unearthly series because the love triangle is so well put together. (You obviously don’t find too many of them…) I could never make a choice on just one of them, so I just have to say I LOVE Tucker, but I like Christian. And I need to read this because it just NEED to find out who she picks! Hide in your corner until you’ve read this! Especially for dragging in that Other Book into this conversation, hah. This series is NOTHING like Halo or Hush, Hush, I assure you. Tucker will melt your heart. Promise. I love this series. It is amazing! !What I love most is either Tucker (cause he’s awesome) or the execution of the concept. i mean I’ve read books about angels and stuff before, but this series is by far the BEST Series about angels that I’ve read!! I read Unearthly and really liked it, but it wasn’t until Hallowed that I fell in love. It just broke me. I cried. Now I can’t wait to see how Hand wraps it all up. I’m always weary with reading the last book. Hallowed broke my heart in so many ways…and not just romantically. Still my favorite of the series. Oh man, I love these books! And I can’t wait to see who she ends up with. It’s definitely a very emotional series though, at least that’s my experience. One of the most emotional series out there right now for sure. Thanks Candace! Well, you were right about that, hah. Hurry up and start them–it’s safe now! Although as I keep saying–make sure you have tissues ready. And the next book. I need to find out what happens with Tucker!!! I need to know!!! Thanks for the great interview! I haven’t read the series yet but it has prompted me to put it on top of my list so I can read them all at once. Yes, top of the pile is where it belongs! It will change the way you view YA paranormal romance. I’m so excited to read Boundless. Please hurry up and write that cowboy story – it sounds intriguing. III know–news about this delay has me looking at this interview all side-eyed. I loved both Unearthly and Boundless. Gosh, there are so many good things in this series. I love Cara, her strength, her relateability. I love Tucker and Christian – I think this is a love triangle well done. I will probably be heartbroken no matter who she choses. I love the angel element and the idea of a purpose and how Clara has been trying to find her way. The relationship with her mother and brother broke my heart. I can’t wait to see how Cynthia Hand concludes this story. I am sure I will love it just as much as the others! So basically…you love all of it, hah. ;) Totally with you. I have only read Unearthly so far, so I didn’t want to read the Q&A in case there were spoilers. Hallowed is sitting on my shelf at home and I plan to start on it soon. I feel like this series really stands out from the other angel books out there and I can’t wait to find out what happens next! Yes, there are a few slightly spoilery parts in the Q&A so I’m glad you waited to read the interview. Definitely get to Hallowed soon–but make sure you have a box of tissues handy! My favorite thing in this series is definitely the family relationships. Clara’s relationship with her mother, her brother and her father are both touching and realistic. I’m in the middle of reading Boundless and I’m SO with you in the conflicted camp. Kind of scared to get to the end. But I’ve been a huge fan of this series from the very first book. Really excellent interview!! Ohhh, I can’t wait to hear what you think of it, Jen! It’s so hard to say goodbye to these characters. I really like how she said that Clara affects the lives of everyone else around her. Having active protagonists is always a plus, and seeing the consequences of the protagonist’s actions explored a definite plus. Also, Cynthia Hand is already a thought-provoker :). Great interview! Protagonists who move the story forward and have great internal dialogue are always so important to me as a reader, too. She is definitely a thought-provoker, that one! Great interview! My favorite thing about this series is the balance between the different aspects of Clara’s life, so I’m glad you asked about that. I still haven’t read Boundless, but I’m looking forward to it after reading all the positive reviews it has been getting. I love that, too. I wish more YA authors took the time to show us life balance in this way. I hope you enjoy BOUNDLESS when you get to it! Wow, what a fantastic interview. I really loved getting to know her thoughts on certain aspects of the story. I am so sad that the series is over, but I have loved every second of it. When I meet her I am going to have to refrain from jumping on her and giving her a giant hug for writing such an awesome story that I was so invested in. I’m so sad it’s over too, Amy! I loved your review of the book. I know what you mean about the giant hug–I don’t really get too excited over too many in-person author meetings, but this one might leave me a little incoherent. I meant more “excitable” I guess. No disrespect intended to any other authors, hah. I just don’t get starstruck all that much. ;) But I’d probably have to restrain myself from giving Cynthia a bear hug, too. Great Interview! I can’t wait to finally get my hands on a copy of this. Thanks! And hopefully that will be very soon. There’s too much in it that you have to know! thanks for the fantastic giveaway! I’ve really been wanting to read this series :) This would be a great excuse to splurge and the previous books! You’re welcome! And it WOULD be a good excuse to buy the others. :) Either way, I hope you enjoy the series when you have a chance to read it. Storm those bookstores, Tina! How can they not have copies in stock yet? But thank goodness for bookish friends. :) I’m glad you’re reading it soon–I will be on the lookout for your review. YES! More cowboys! :D Great interview. What I love most about the Unearthly series is Tucker! You ask the best questions, Wendy! Such a great interview! I really rather enjoyed the last interview you had with Cynthia and was very much anticipating this one and you didn’t let me down. Ah, thank you Lisa! I’m glad we didn’t disappoint you. It is a little bit of an adjustment since we know her only for paranormal stories–but just think of how loving and real the relationships are in this series! If Clara weren’t an angel, I’d still love Unearthly, so I’m pretty interested in seeing how she handles things. Even though I generally prefer UF/PNR/Scifi, too. With you on the “whatever she does” comment. I made a ladybug reference to Bonnie above, hah. Great interview, Wendy, as always. My only complaint is that it’s too short (like the book!). I’ve just finished and I’m literally aching. So many things hang heavy on my heart and the weather here is all winter, fog, and snow. Oh me. I would love for the book to have been longer too, though. And dearest heart, I look forward to your review as always. Your mere comment makes me long to give you a hug. I’ve been hearing good things about this series! Great interview — I enjoyed reading about Cynthia’s writing process, and chuckled over her pulling over to the side of the road to write down a crucial scene. I’ll definitely be on the lookout for book one of the series! And yes, do read UNEARTHLY! Just about everyone I know loves it to pieces. Great interview. I like the idea of being a “Thought-Provoker.” Isn’t that an author’s job? Looking forward to reading Boundless! Well, not all authors rise to the “thought-provoker” challenge, Bayla–but I’m glad this one does. ;) Hope you enjoy Boundless when you get to it! 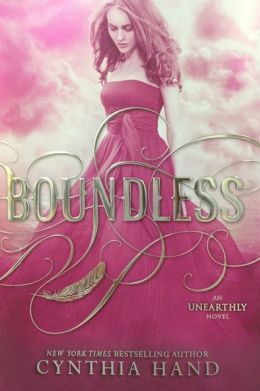 I am so excited to read Boundless, I’ve loved the Unearthly series for quite some time now. Ooo, I hope you get your hands on it soon, Soulunsung. I always feel the pressure to rush out for a final volume in a series in case things get spoiled for me somehow, hah. Thanks for the enjoyable interview! Can’t wait to see how the story wraps up. Hurry up and read it, Molly! We will hold you when you’re done. HOW have I not heard about these Maggie – Samjeeza short stories before? I’ve been wishing for something like this for ages. What excellent news! So happy with the Samjeeza appearances in Boundless. Well, she hasn’t written them yet! She first talked about the possibility here on our blog last year (side bar Epic Cynthia Hand Interview, Part One), but it looks like those are on the backburner for now. It’d be awesome to see them get their own novella, though. ‘a contemporary stand-alone with a tiny supernatural twist’?? Ooohh! Glad to have something more to be excited about from Cynthia. Can’t wait! :D Great interview! that is a wonderful interview. Nice to know something is in the works for Sam . I as a reader enjoyed the family aspect woven into the story. Claps hands and glad to know you have something else in the works. YES. I love love love the way Clara’s family dynamic works. Her mom, her dad, the relationship between her mom and dad, her mom as an individual, her brother, her brother’s relationship with the parents–it’s all subtly but beautifully done. See, told you that you ask the best questions! =) Cynthia is indeed a thought-provoker. I mean, look at the animated discussion thread she influenced over on GR. :) I love that she got to thank the teachers who were so influential in her writing career, too. But no cowboy/western book for awhile? Bummer. :P Also, thank you for the shout-out! I think Cynthia probably has “thought provoker” written on her business cards, don’t you? :) Teachers were so important to me personally as well, so I loved that she spoke of hers with such affection. And my pleasure–I loved your interview with her, too! And what I love most about the Unearthly series is easy: Tucker. Ah, I’m glad Clara’s choice pleased you, Sam. As you can probably guess from my review, I am more conflicted about that, hah. But I’m genuinely glad Clara is happy–that’s what’s most important. It’s going to be so interesting to see her tackle a contemporary book, isn’t it? I’m intrigued by the “tiny supernatural twist,” too! One of my favorite children’s books, The Headless Cupid by Zilpha Keatley Snyder, had just the faintest hint of one at the end too, and I remember I reread that part numerous times because I was so tickled by it. I’m glad you read Radiant! I think it enhances this story in a really great way, which is how those electronic shorts work best. I’m sorry your copy hasn’t arrived yet, I would be so upset in your shoes! Fingers crossed that your valiant Royal Mail carrier delivers it soon. Thank you for being on the tour Wendy!